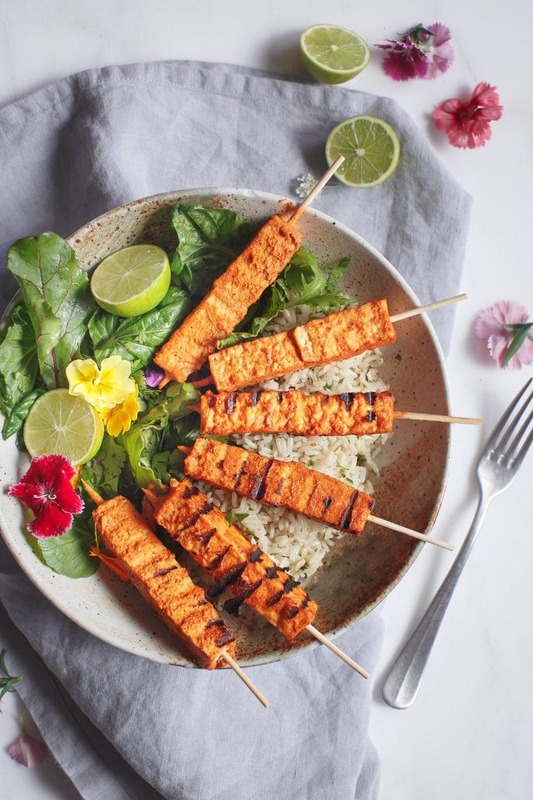 Tandoori skewers that are meat and dairy free? 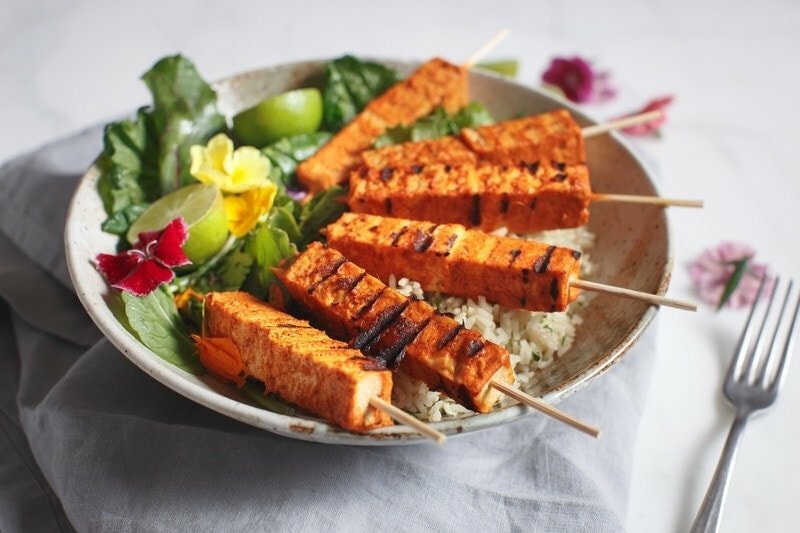 Though unusual, tempeh marinated in a mix of fragrant spices and coconut yoghurt is an absolute winner, and perfect for summer BBQ’s. 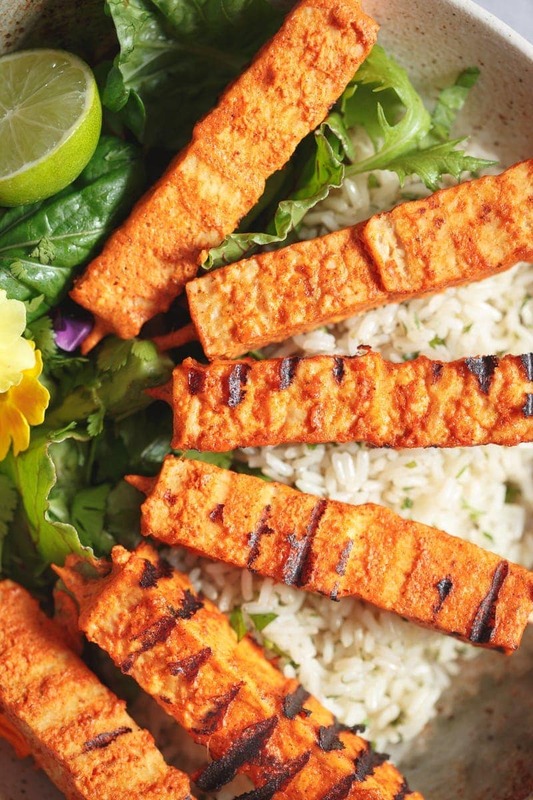 I had the most curious idea for a recipe pop into my head last week – tandoori tempeh! I couldn’t even remember the last time I ate tandoori – so I had to make a special visit to my local Indian store to ask what the non-negotiables were in terms of spices. I already had dried fenugreek (methi), fresh ginger & garlic at home. Winning. So that my friends is where a traditional tandoori ends. I kind of went a bit AWOL with the spices, adding extra cumin powder, coriander, smoked red paprika (purely for a more authentic colour), and ample lemon juice. Of course, I used coconut yoghurt in place of the dairy, and then to get even weirder – tempeh in place of chicken! Ah, gotta love a little kitchen experimentation (and I have to say, holy wow – mind blown with the result! Just the right amount of heat in the marinade – flavoursome, smoky, tangy and vibrant). Now, after a few attempts at getting the tandoori marinade just right (again, it is just delicious), the trickiest part, unexpectedly, was working out how best to prep the tempeh. 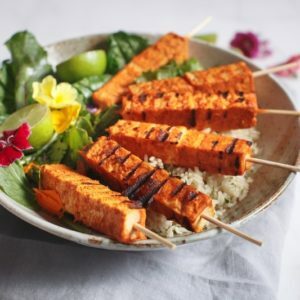 I have come to the conclusion that thinly sliced, marinated and baked tempeh is far superior to grilling skewers, which are inevitably rather large cubes – otherwise they seem to crumble. 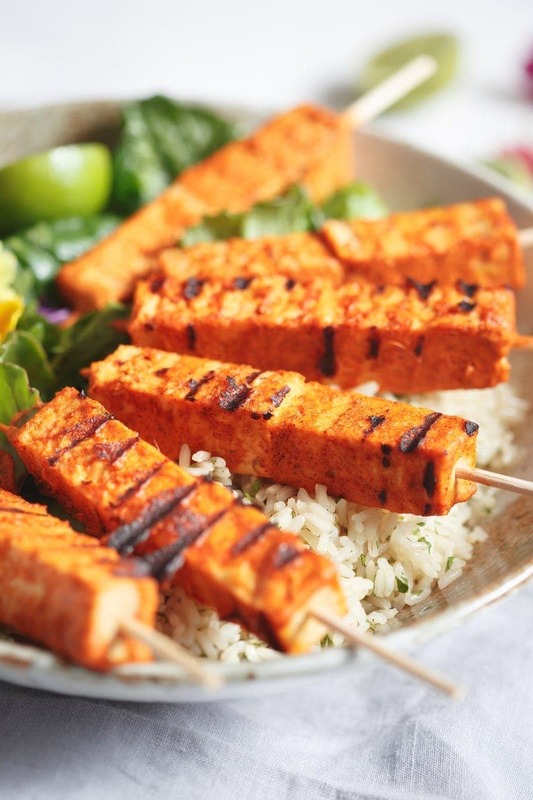 Furthermore, it appears that tofu is even more complementary to the tandoori marinade, as it seems to soak up the flavour a bit better. The only trick, is to use firm tofu, and perhaps press it under a weight to remove excess water if it still feels a little soft to work with. 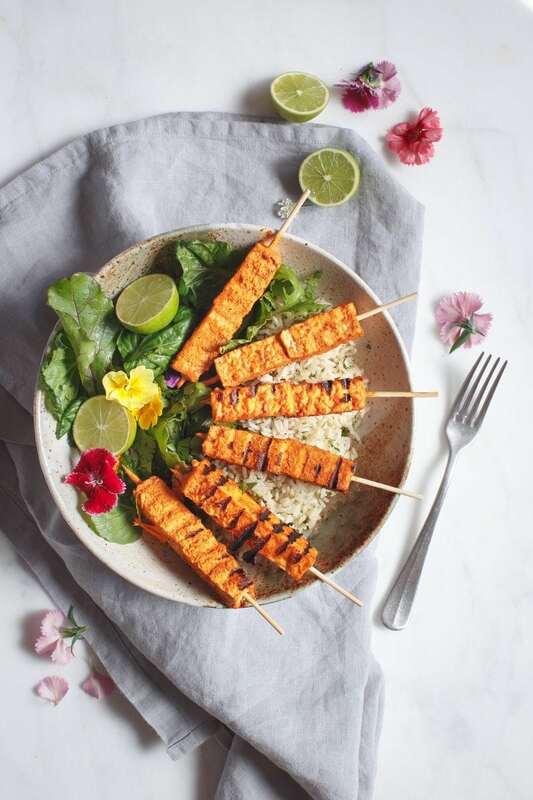 Obviously, I’ve shot the skewered version of the tempeh here for this post – but I wasn’t about to cook it all from scratch again, as that would be just silly, wouldn’t it? To make it a complete meal, I cooked up some long grain brown rice, then folded through some fresh, chopped coriander, adding a drizzle of olive oil and seasoning well. A no-fuss salad with avocado and a squeeze of lime to add some green, and a tablespoon of tangy sauerkraut for its beneficial bacteria. All kinds of Indian-Indonesian-German fusion yumness! 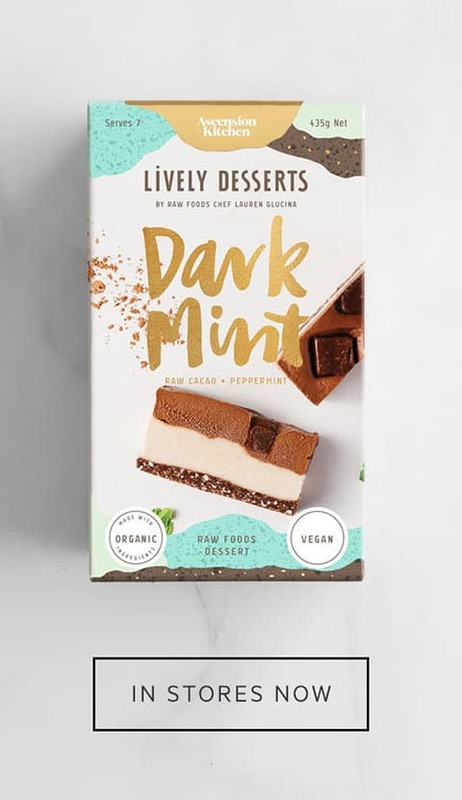 I hope you enjoy the recipe – it’s fun and something different, and I think these would make a great, plant-based alternative to bring along to summer BBQ’s. Though unusual, tempeh marinated in a mix of fragrant spices and coconut yoghurt is an absolute winner. Serves 2 - note the long prep time is due to marinating tofu/tempeh. Blend all tandoori marinade ingredients together and transfer to a shallow dish. 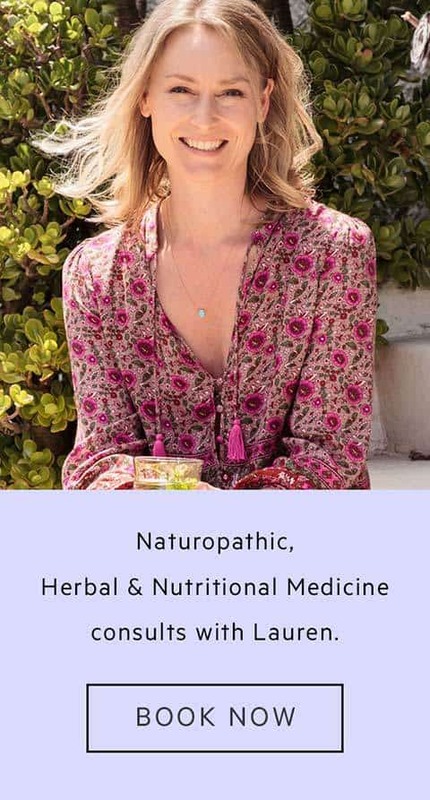 Finely slice the tempeh, let it marinate for as long as you can in the shallow dish, then cover with foil, bake at 180˚C (356˚F) for 15 minutes, remove the foil and bake a further ten minutes. If you want skewers, steam the tempeh for 5 minutes, then trim off the uneven edges. Cut into small batons and thread onto bamboo skewers that have been soaked in water for 15 minutes to prevent them splintering. Let marinate. Heat a char grill pan on the stove top, spray it lightly with olive oil, and cook the skewers on each side. This method looks great but I prefer thinner pieces of tempeh. Tofu is great baked or grilled. Choose firm tofu, drain it well, place in between paper towels and put a heavy weight on top to press out extra moisture (you can skip this part but it may just give a softer result). Let it sit like this for a couple of hours before use, then cut into cubes, let marinate and either bake or grill as above. Tofu is definitely my preference for this dish. Rinse the rice well under water then boil till cooked. Drain, transfer to a bowl and mix through chopped coriander, a drizzle of olive oil, squeeze of lemon, salt and pepper. Combine salad greens with avocado and simple dressing. For a more authentic taste, omit the smoked paprika, but for a more authentic colour, keep it in.